The curtain is coming down on this season's last show at the Metropolitan Opera and thus, what better time to let the Monday morning quarterback-ing begin. Well, the season-the first to be planned entirely by Mr. Gelb-is over, and the evaluations are in. New Yorker critic Alex Ross, who once praised Mr. Gelb's "imaginative leadership," wrote (in the March 29 issue) a piece skeptical of the Met's "technologically dazzling, emotionally arid" artistic direction. Justin Davidson echoed that sentiment in the April 18 issue of New York magazine, writing, "Sometimes Gelb's spirit of innovation looks indistinguishable from confusion." In its May issue, Vanity Fair published a long analysis of the company's finances-highlighting its $47 million deficit-by Nina Munk, who wrote, "[I]f you spend as much time as I have examining the Met's financial statements, you're likely to conclude that, in its current state, the Met is not sustainable." ...I submit that the real problem is exactly the same problem the Met had under Gelb’s predecessor, Joe Volpe: not that the company engages unusual directors, but that it doesn’t let them actually do what they’re good at. Gelb seems to me to have the same micromanaging side that Volpe did: the side that would see something unusual in a new production, get nervous about it, and try to rein it in. In addition, there is James Jorden who not only writes for the New York publication that shall remained un-named (but rhymes with 'Most') and also is Editor of Parterre Box. 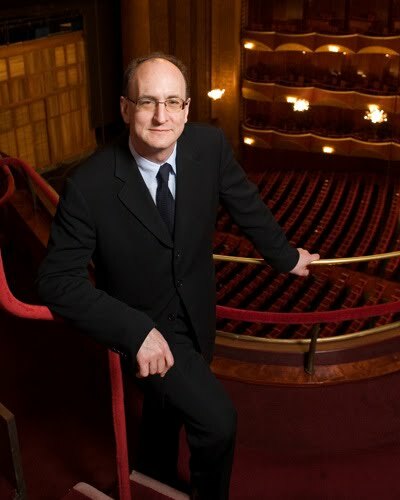 Jorden contends that MET critics have a "short-sighted tendency to act as if unsuccessful productions at the Met suddenly began with Gelb's arrival," publishing on Parterre.com a list of all the new productions put on during Mr. Volpe's tenure, including Graham Vick's tragically unfortunate and futile Trovatore. It would seem, according to some that include Mr. Woolfe, that the MET would be setting themselves up for greater success if they employed longer rehearsal periods. Instead, the MET continues to operate under the old-school philosophy that hiring the cream of the crop singers means they can fly in and pull off a stellar performance at the last minute. Here's a wake up call: the cream of the crop singers of today are NOT the cream of the crop from the last generation. Singers from yesteryear did nothing ... absolutely nothing ... but sing opera after opera. Whereas singers of today are spread too thin with other obligations. They have the demands of a publicist, events, record deals that net a break-neck number of recordings, social media (blogging, Facebook, Twitter), demands to look a certain way which means gym time and diets and in some cases surgical intervention. The list goes on and on. Yes, the previous generation had their challenges, but ultimately they knew their chief job was to show up and sing. That's just not the case anymore. Singers can't be expected to pull out a stellar performance on a moments notice like they used to. Nor can many singers of today turn it out with the extremely short rehearsal period that the MET's logistical schedule allows. ...several of the season's less successful productions were marred by casts thrown together at the last minute. Marlis Petersen was flown in with three days to spare to replace Natalie Dessay in Hamlet, and her Ophelia was vague and unfocused. Rumor has it that Anna Netrebko, starring in Tales of Hoffmann, was available for just two rehearsals before the run-throughs, which may explain the lack of real psychological depth in her portrayal of Antonia. Contrast these examples with Christopher Alden's production of Don Giovanni at City Opera in the fall, for which the entire cast rehearsed for six weeks, yielding a riveting performance true to Mr. Alden's vision. You could argue with aspects of the production, but it was all of a piece, which was never the case at the Met this season. There were compelling visual and dramatic ideas floating around Bartlett Sher's Hoffmann, for instance, but they were eclipsed by cast changes, hasty preparation and the kind of bland confusion that indicates direction by committee. The Met at this point is not a place where even a talented opera director can make good, strong work, let alone a place where a director inexperienced with the genre-as so many of Mr. Gelb's favored artists are-can be guided toward an understanding of it. And then, Mr. Woolfe writes something that speaks volumes in a single sentence. There was little evidence this season of directors with a real sense of how opera works theatrically, as a balance of spectacle and intimacy, emotional outpouring and restraint. Thank you, Zachary Woolfe. Thank you for saying what I've been thinking all season but just haven't had the capacity to put into words. I encourage you, Friendlies ... no, emplore you ... to hop on over and read Mr. Woolfe's article A Look Back at Peter Gelb's Met. He goes on to discuss the MET's future as perhaps ... *perhaps* ... "the most exciting cultural institution in New York". Although that statement, which is included in the MET's new ad campaign, is still very much in question. Thank you for assembling these various reviews. In particular, thank you for Zachary Woolfe's piece. I had not seen it. I'm VERY much looking forward to "school being out for the summer". We'll see what next year brings.